For this week's In Pictures, we leave Boracay for a bit and go to another island. Or rather a group of islands. All one hundred twenty-four in total (123 in high tide). 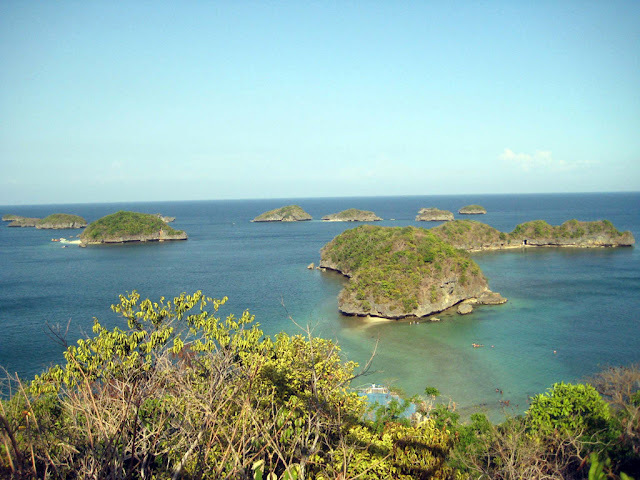 That group of islands is called Hundred Islands, and it is located in Alaminos, Pangasinan. 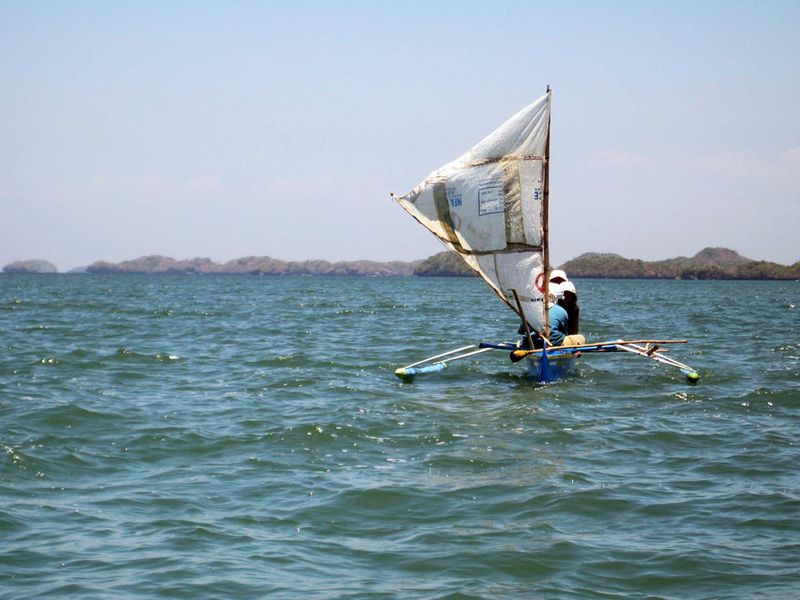 It is about 5 hours away north of Manila. I visited Hundred Islands a few years ago. The islands were actually corals that used to be in the seabed of an ancient sea, said to be around 2 million years old. 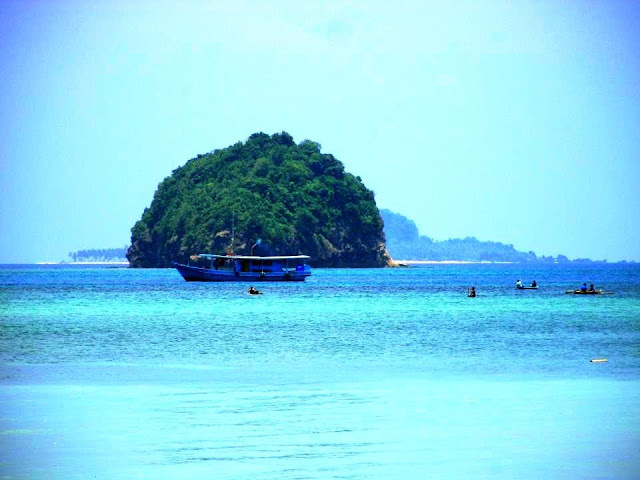 The receding sea exposed the corals, and were gradually eroded by the ocean, forming the mushroom-shaped islands . The islands are now part of a protected marine park. 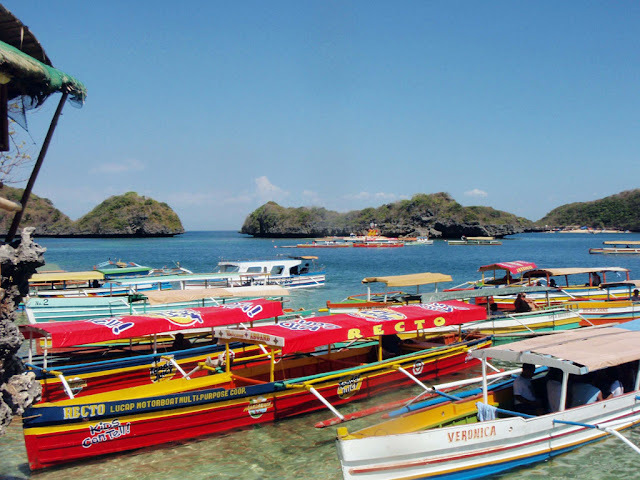 You can rent boats that would take you around the marine park; the colorful boats will stop in several major ones where you can do several activities, such as snorkeling, kayaking, and beach combing. 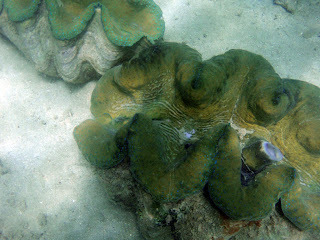 There is also an area in the marine park where they breed giant clams, and you can skindive to see the mollusks up close. A word of caution: snakes are found in some of the islands, so be careful where you stick your appendages. Alaminos is accesible by bus from Manila. Victory Liner buses serve the town from Cubao Station, with trips leaving from 5am all the way to midnight. Once in Alaminos, take a tricycle to Lucap. You may hire a boat from the pier to take you to the island. 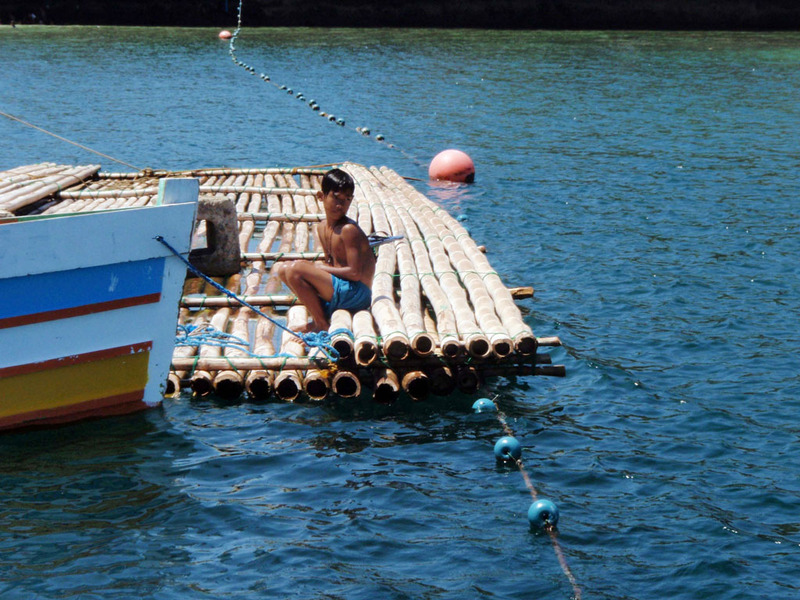 Boats cost around PhP 1000. From Alaminos, you may swing north for a bit to San Juan, La Union for a round of surfing. 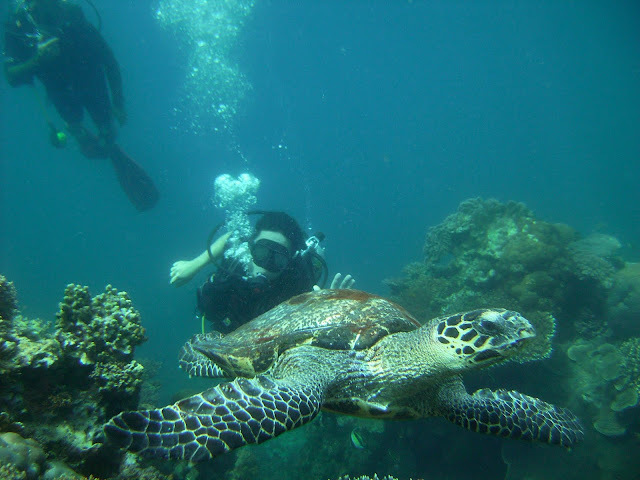 You may also try to explore the town of Bolinao, where you can see the Cabo Bolinao lighthouse. 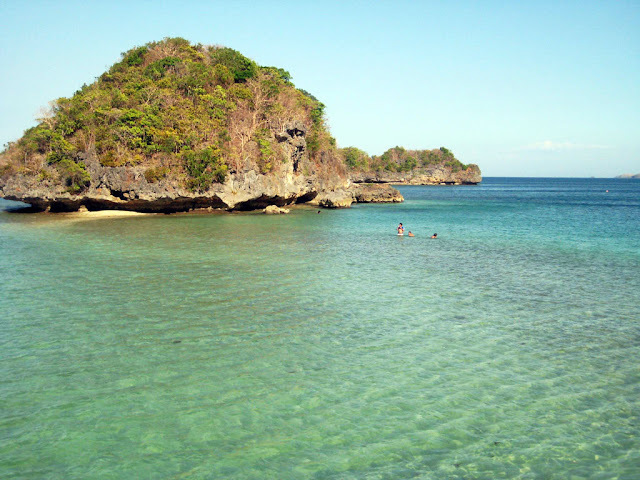 Bolinao also has several beaches.